Well, this one should be a no brainer, but I see this regularly with new managers. Usually when this occurs there is typically a lack of awareness that this type of communication can negatively affect the organization, or a miscalculation that this type of criticism can establish change in leadership. Either can destroy trust and develop strong negative feelings from employees that worked under the previous administration. It is important to remember that previous administrations have loyal followers that are still within the organization, even if they are no longer in power. Those people left within the agency who developed relationships with their previous managers are still loyal to that relationship. I have seen new managers do this so poorly that they spend the rest of their administration trying to recover from those early days sharing every negative thing that they felt occurred prior to their tenure. It alienated staff, volunteers and the community. It’s an easy road to avoid so make sure you do just that! Again, I challenge you to refrain from sharing this information even if it might be obvious. It will go a long way with transitioning smoothly and gaining respect for those still tied to former managers. If you need further assistance, let me know. I can help. 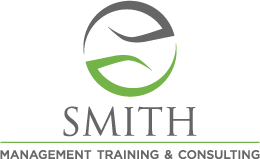 You can reach me at dale@dalesmithconsulting.com or 919-923-3109. Also, I offer a FREE E-Book on my website titled, Five Tips to Successful Transitioning. This is a powerful tutorial for new leaders. Finally, I am an Associate Certified Coach through ICF that can help you in a number of ways. If you are seeking clarity around a situation that has stymied you or if you are looking to develop a plan to meet your goals, I can help! Give me a call or reach me by email. Until Next Time!